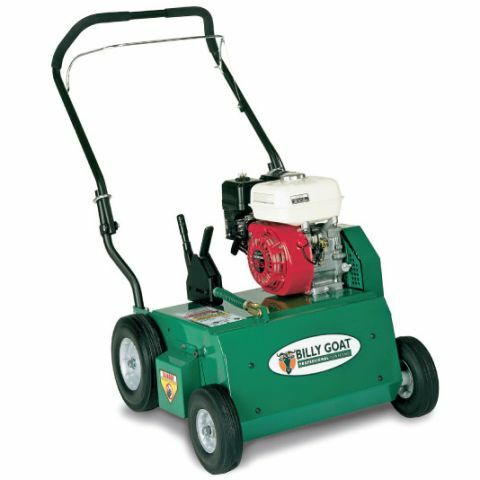 Whether you're renovating a lawn or making room in the lawn for a vegetable garden, a sod cutter rental is the tool for you. Make it easy to remember "How To" instructions -- shoot a video! 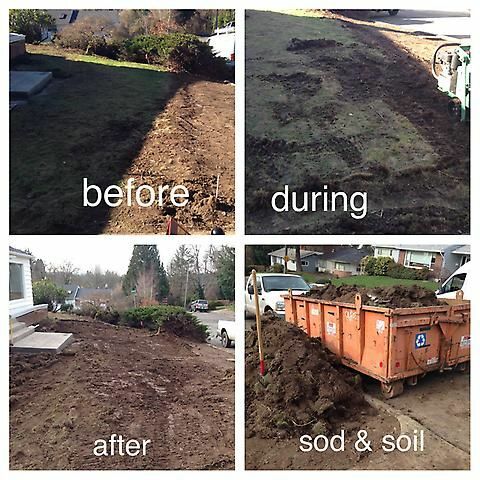 Whether it's for a new garden or yard, homeowners love to tear out grass and sod. 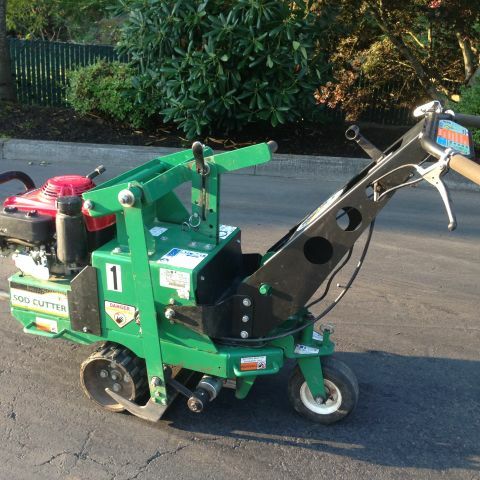 We went on a search for the most maneuverable sod cutter on the market and this is what we found. 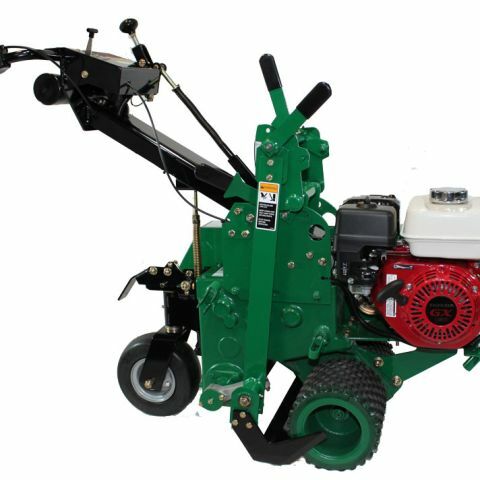 This sod cutter is self propelled and includes simple controls at the tips of your fingers. 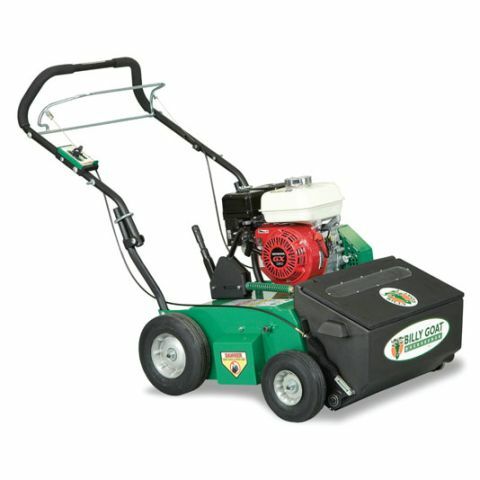 It's extremely maneuverable and has an 18 inch cutting blade. 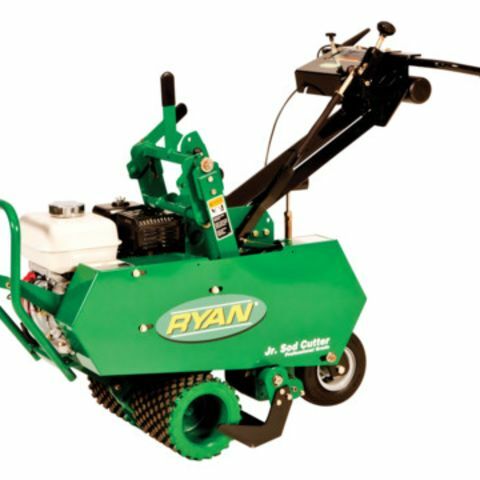 It has a swiveling castor wheel on the back that allows the machine to cut curved landscape features or perfectly straight lines. The blade depth is controllable so you can set the cutting deepth as deep as 2.5 inches. Can this fit in my car? It's possible to get a sod cutter rental into a large SUV, but not advisable! Plan on bringing a trailer or truck to transport the machine from the rental yard to your house. Can I lift it into my truck? No, probably not. 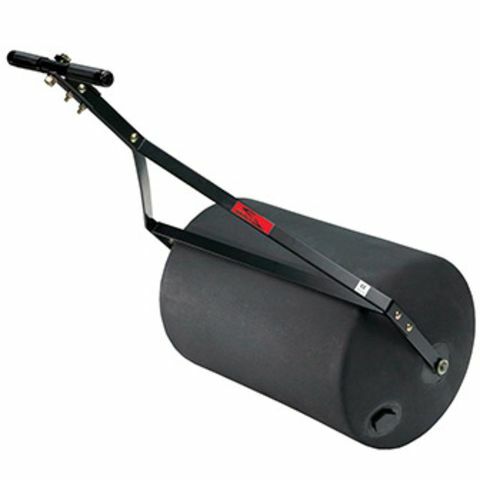 At 300+ pounds we advise either ramps or a trailer to be used. Will it cut through roots? 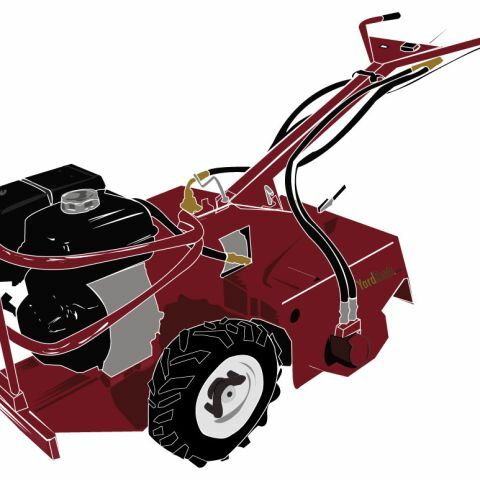 Smaller "finger sized" roots should be no problem in most cases, but the sod cutter rental will not cut larger roots, and should taken out with hand tools. No, especially if you work in straight lines, the sod cutter rental does most of the work -- you just walk behind and guide the machine. 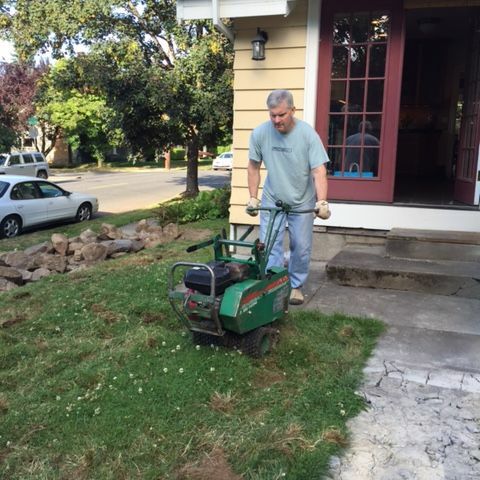 Does the sod cutter require a lot of physical labor? No. It's self-propelled. This means that the large wheels under the machine will pull it forward so all you have to do is steer. 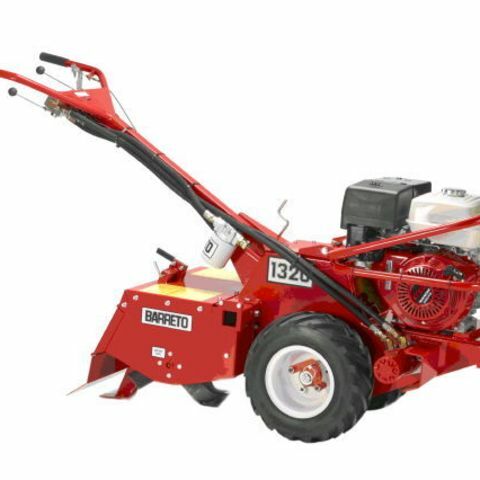 How much fuel does the sod cutter use? 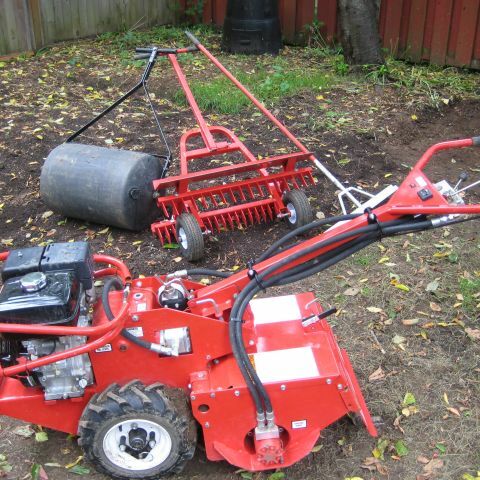 This Sod Cutter is very fuel-efficient. Most projects will require less than a gallon of gas from start to finish. How long does it take to cut 1000 square feet of grass/sod? It really depends on the operator and how you plan to deal with the sod after you cut it. If you have someone rolling up the sod and moving it out of the way , while you are cutting, then you can possibly cut 1000 square feet of sod in about 2 hours. Yes. 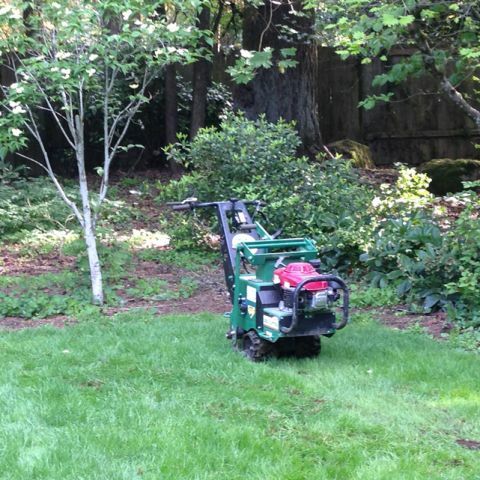 Depending on moisture levels, a 5 foot by 12 inch section of sod can weigh up to 60 pounds. You don't want to try to roll up a long row of sod. Instead, you should plan to break it up in to manageable sections. Otherwise, you can find yourself straining to pickup and move large 100+ pound rolls of grass and dirt. How close can I get to concrete curbs, paths, and sidewalks? You can usually visualize the distance between the cutting blade and a concrete path by simply looking around and down between the front and back wheels on the side closest to the concrete. Use your hands, eyes, and ears to determine if you are too close to the concrete. 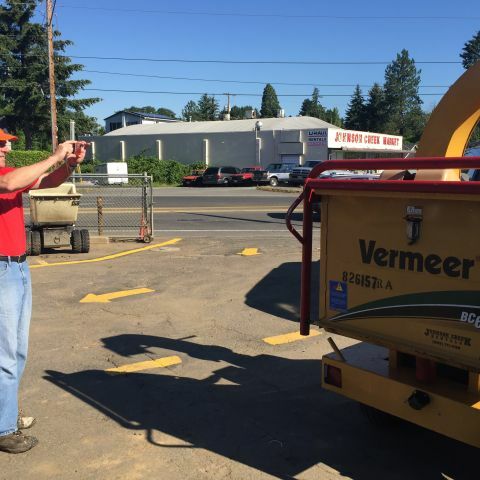 If you feel or hear unusual sounds (like metal rubbing concrete) or if you see the blade within an inch of the concrete then steer the machine away from the concrete. This does not require a significant change of course, but rather a gentle nudge away. The average sod cutting project is done in less than 2 hours. Should I water the area before sod cutting? 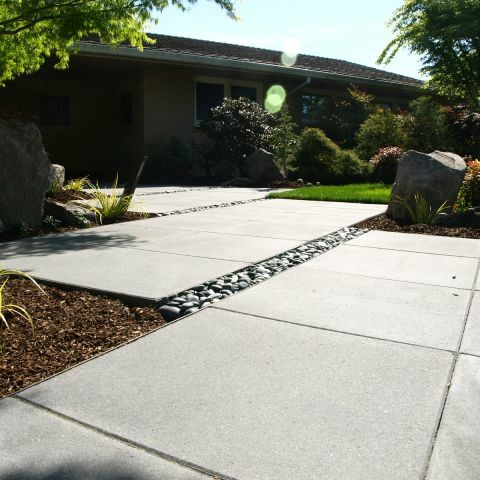 Yes, during the hot summer months the ground can dry up and become as hard concrete. Heavily irrigating the work area the day before helps loosen up the soil prior to sod cutting. 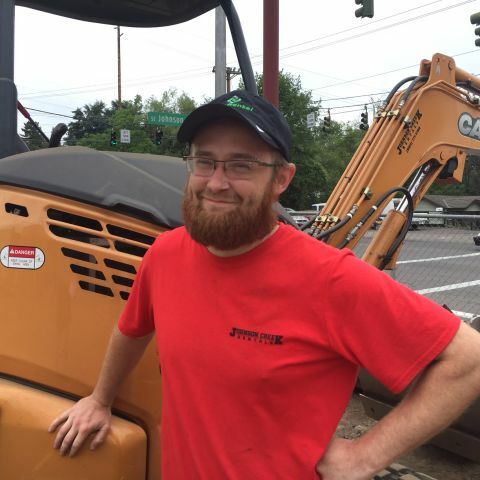 How do I know if I need to water the work area before sod cutting? Try stabbing a butter knife or screwdriver down into the ground. Measure the depth of the penetration. This will give you a good indication of soil hardness. If you get a shallow penetration (like 1 inch) then try adding water to the area and repeat the test an hour later. This should give you a rough idea of how much to water the work area. Remember, you are trying to increase moisture levels deeper down into the soil. This will mean watering for longer periods of time and allowing several hours for the moisture to penetrate down into the ground. 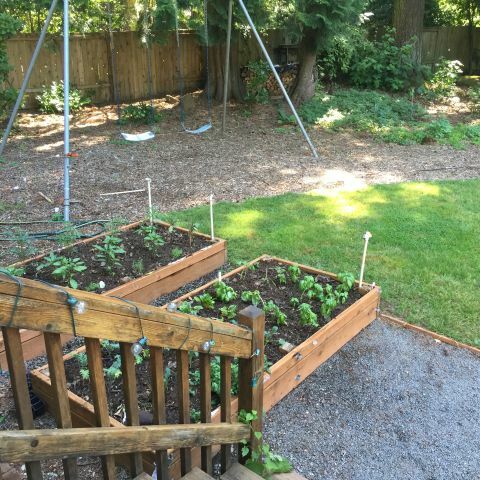 As with many activities that involve cutting into the soil, it's a good idea to pre-water the area you're planning to work on a day or so ahead of doing the job -- if you do, the going is a lot easier. Clear area of rocks, debris and mark existing sprinkler lines. Have an "exit strategy" when it comes to hauling out the sod you plan to cut! Sod is awkward to move and heavy at that -- for example, 10 square feet of commercial sod weighs about 35 pounds. Extrapolate that a little -- if you were to clear just a 20 x 20 foot section of sod from your yard, you'll be moving 700 pounds. 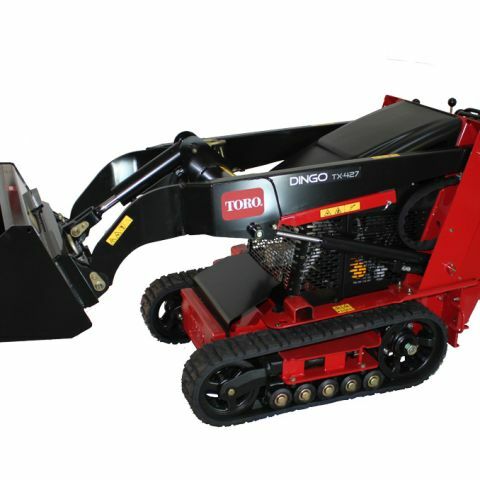 So especially for bigger jobs -- or, if you're bringing soil or amendments into the area you've de-sodded -- consider renting a Dingo compact loader rental to do the heavy lifting. Evaluate the terrain to determine how to safely perform the job. Be sure the area is clear of pets and people, especially young children. Never assume they will remain where you last saw them. 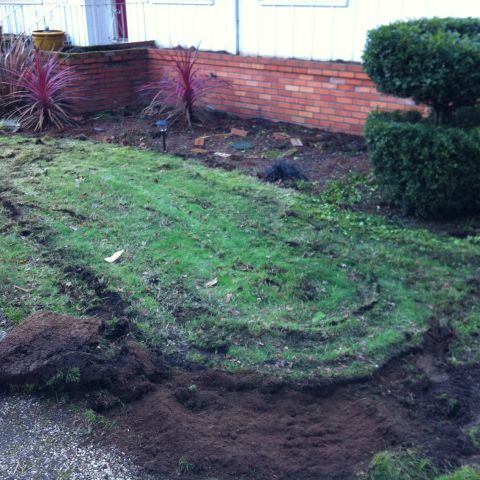 Plan to cut sod only in daylight or in good artificial light. DO: Wear good work boots and work gloves. This machine vibrates aggressively. DON'T: cut near tree roots, sprinkler lines etc.